Your kitchen is the heart of your Woodland Hills home. This is a remodeling project that you can enjoy every single day. Woodland Hills kitchen remodeling projects pay for itself when you sell your home. H&A My Design is Woodland Hills Kitchen Remodeling contractor. We’ll custom build your new spectacular kitchen to any spec you can dream about. H&A My Design stands with you through the remodeling process. We build quality cabinets, countertops into your dream kitchen remodel. We use the best materials for a stunning kitchen conversion. For your kitchen remodel in Woodland Hills, call your custom kitchen designers at H&A My Design. You want something completely different, custom kitchen design is where we shine. We offer tour de force design-build expertise in Woodland Hills. Your kitchen remodeling ideas will make your dream kitchen the envy of your neighborhood in Woodland Hills. The first step in good kitchen remodeling is always your design. Our Woodland Hills kitchen designers refine your ideas and develop a complete design. Call H&A My Design Woodland Hills for kitchen remodeling and don’t forget our custom kitchen designers can start from scratch and work with you. Together we’ll plan your custom kitchen. H&A My Design takes care the whole package, from custom cabinets, plumbing, electric, and even new appliances. When you hire H&A My Design, we’ll deliver a finished custom Woodland Hills kitchen remodel for you. H&A My Design delivers spectacular results for your Woodland Hills kitchen. We guarantee to finish on-time and on-budget. We pay attention to detail and scheduling. Did you know in Woodland Hills, kitchen remodeling helps with energy efficiency? Energy saving products and utilities save you money over time with more energy efficiency and they add value to your home. It’s smart to take advantage of the added value and energy credits available and the savings available. 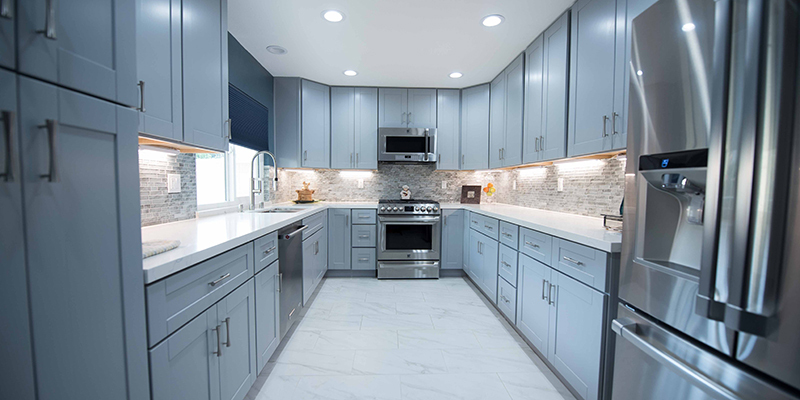 H&A My Design takes you through the process of choosing the best finish detail for your kitchen remodeling in Woodland Hills. Because details are important, we pay attention to the smallest plan detail. Our designers present embellishments that you would otherwise have overlooked. In design, small details make the big difference. For Woodland Hills area customers, H&A My Design make your kitchen into the dream space you always wanted. In Woodland Hills kitchen cabinets are one essential facet that can make or shatter your kitchen remodel. People notice your cabinets first. Our designers add all the bells and whistles you want in your new kitchen cabinets. Your counter-tops will be exactly how you want them. It’s all these small things that add up to make Woodland Hills kitchen remodeling a winner. Take a seat with one of our designers and get the answers for your questions. We’ll ask about all the specifics you’ve considered so far. Woodland Hills kitchen remodeling should make your kitchen space a living space. We have some of the best kitchen designers in Woodland Hills. Just call us.